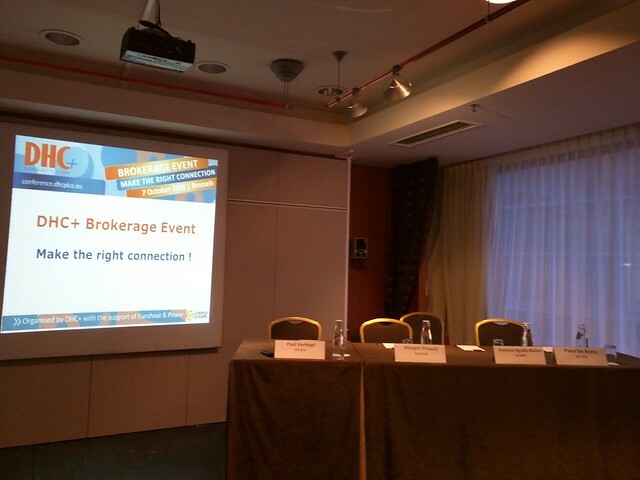 Organised by the DHC+ Technology Platform for the first time, the Brokerage Event “Make the right connection” gathered more than 90 participants and 23 project ideas. The event targeted organisations interested in heating and cooling, energy efficiency and integrated energy system. In the first part of the event, representatives of the European Commission and its Executive Agency for SMEs presented the new Horizon 2020 energy work programme and calls for 2016-2017. The networking part of the event focused on the following topics: heating and cooling technology; heating and cooling policy and planning; renewable energy sources and heat pumps; industry, heat recovery and buildings; integrated energy systems and smart metering. Participants had the chance to find the best partners for their proposals, discuss project ideas, initiate work and cooperation towards successful Horizon 2020 funded projects.